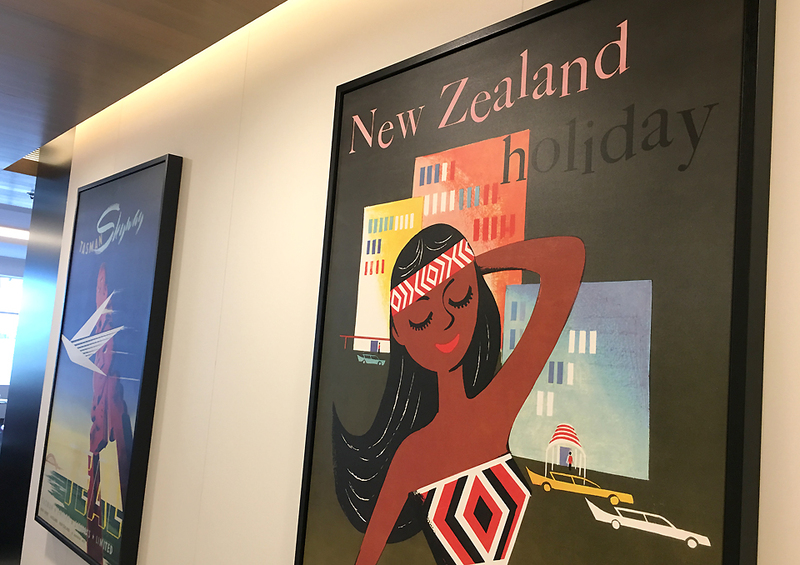 The very inviting Air New Zealand’s Sydney International lounge opened in 2015. 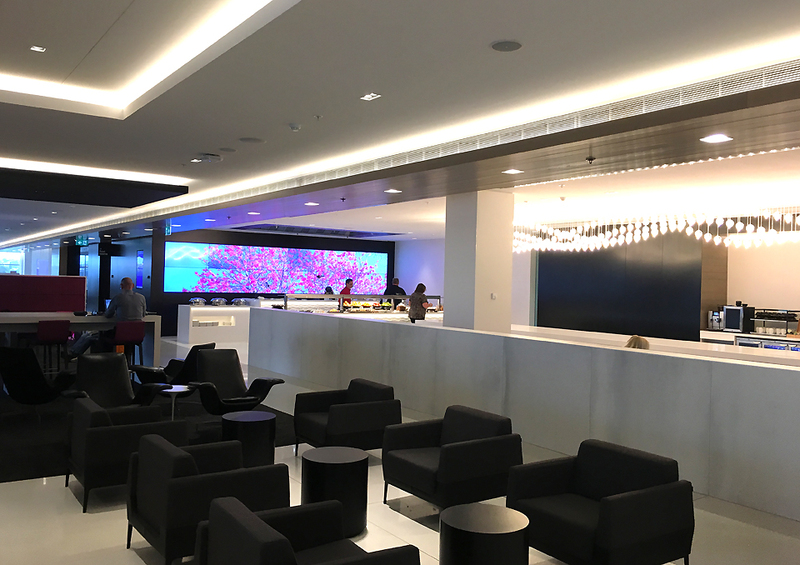 It’s exhibits the same design and features of it’s sister lounges (the ones that have been recently refurbished). 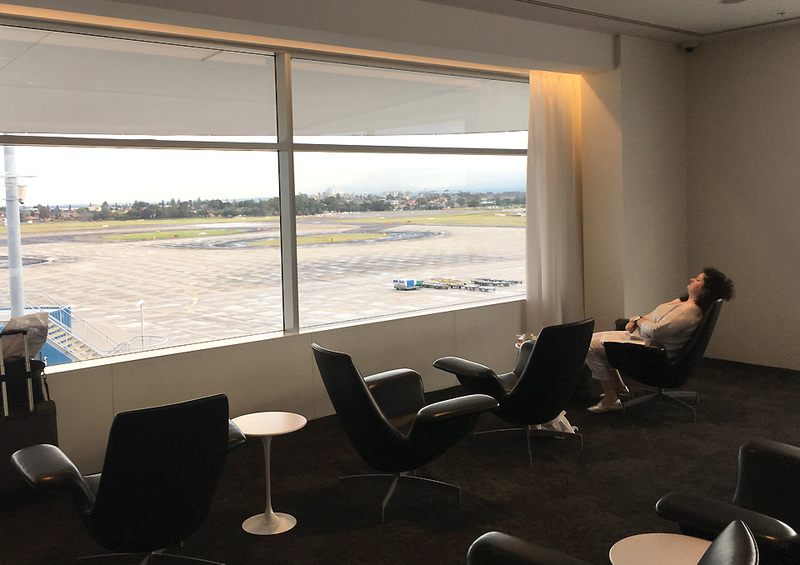 It’s tucked away providing privacy and some of the best views across Sydney international airport. 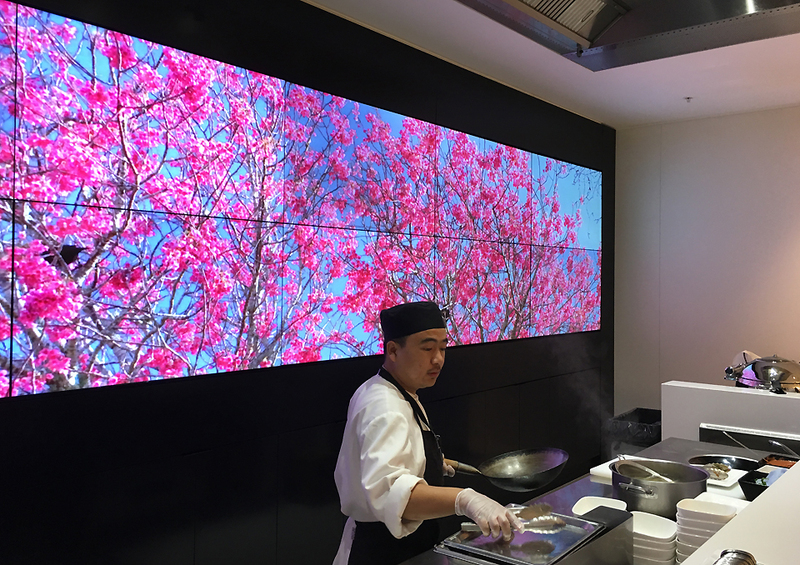 It occupies a floor area of 1450 sq mts and provides seating for 299 guests. 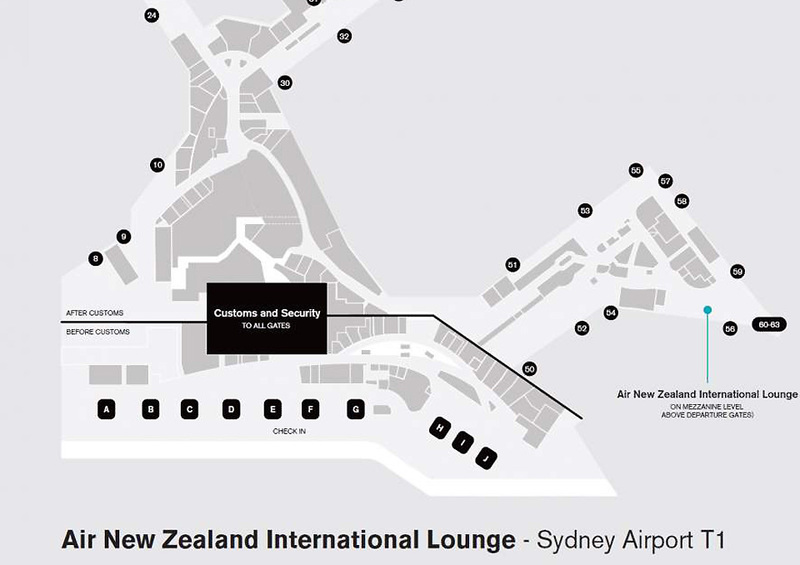 The lounge is located after customs and security checks. There’s a great array of food laid out in the lounge keeping with time of the day. For a late evening flight, there was a decent selection of hot and cold items. 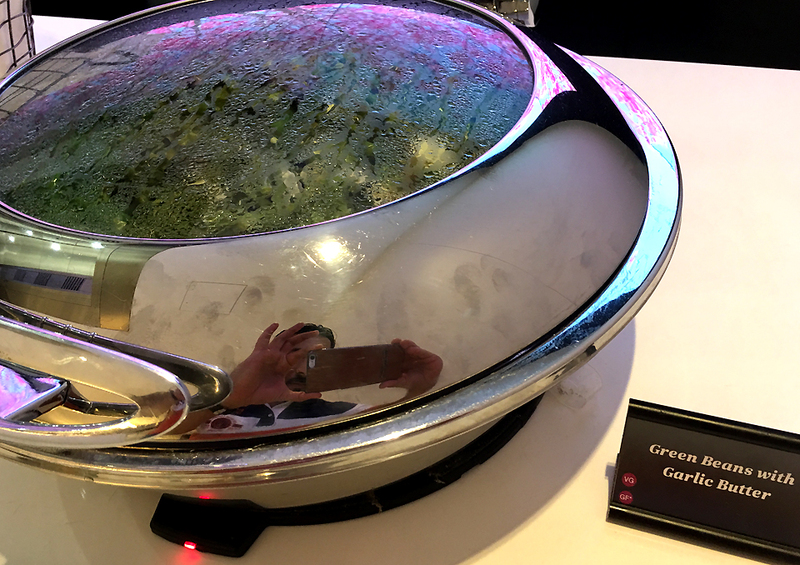 The cold section featured a selection of salads, cold cuts and fresh fruit. 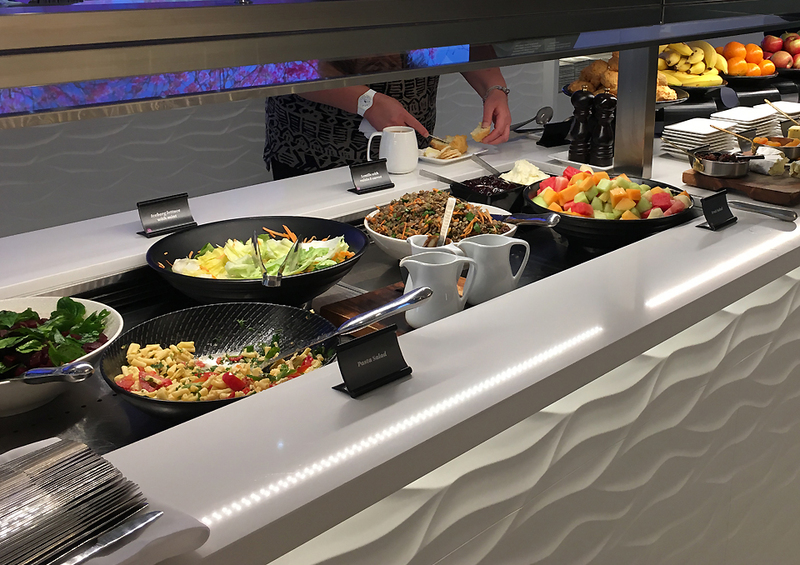 Presentation of the items were well thought of with lounge staff constantly replenishing items and ensuring the food kept looking great. 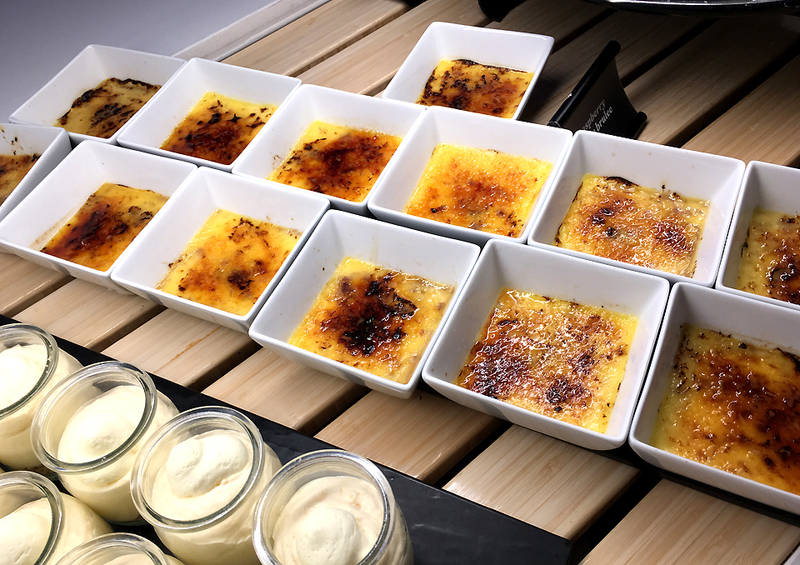 The hot selection was just right for the time of the day to pack that bit of extra punch when hunger bites after a long day. 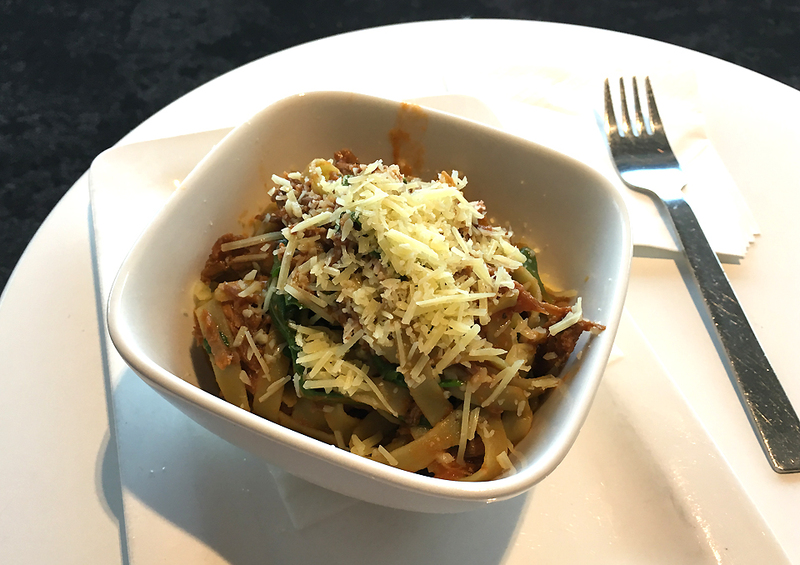 The hot dish of the day was Pulled Lamb Pasta that was being dished up to order by the resident chef of the lounge. The pasta delicately tossed with a dash of olive oil, garlic and succulent lamb finishing off with watercress and freshly grated parmesan. A top restaurant dish cooked to perfection. For drinks. there was no shortage of premium selection of wine, beer, spirits and soft beverages. 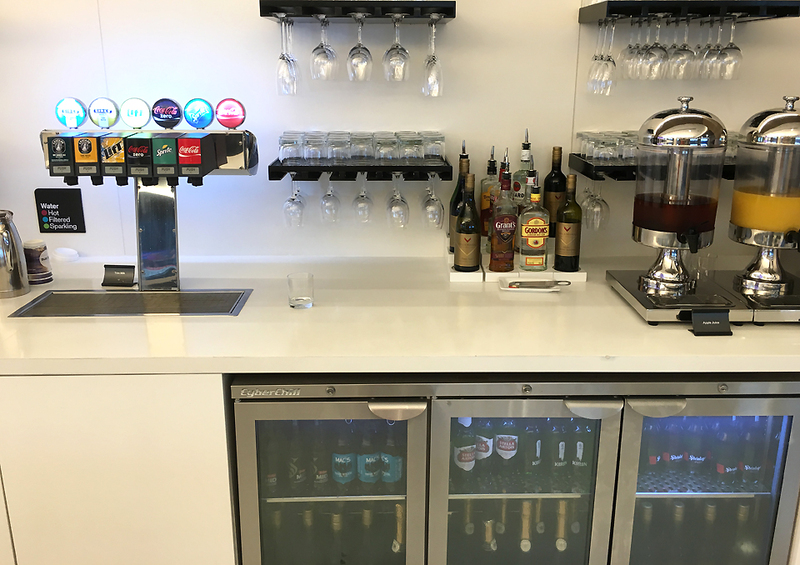 The lounge provides open shared space work areas with power sockets and USB charge points. 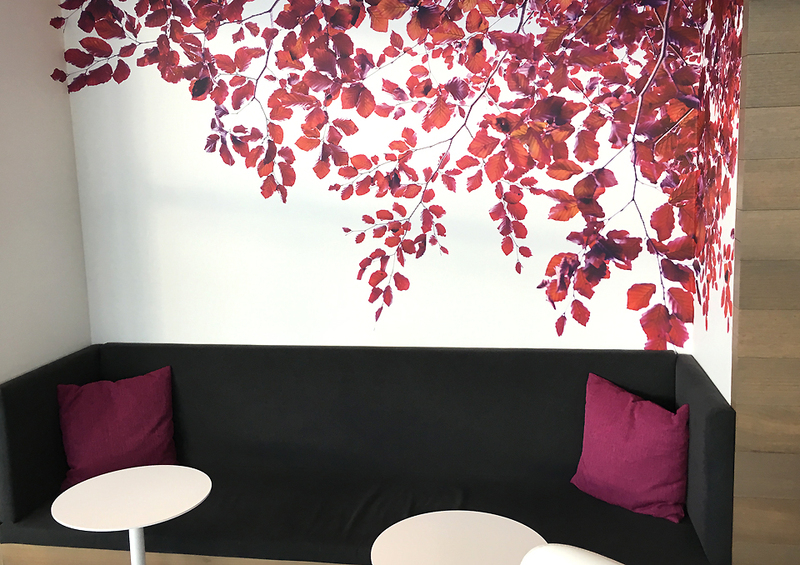 For a more relaxed worker, individual work spaces are available with comfortable lounger and tables. Wifi is available across the lounge with at decent speeds. In the mood to kick back after a long day? 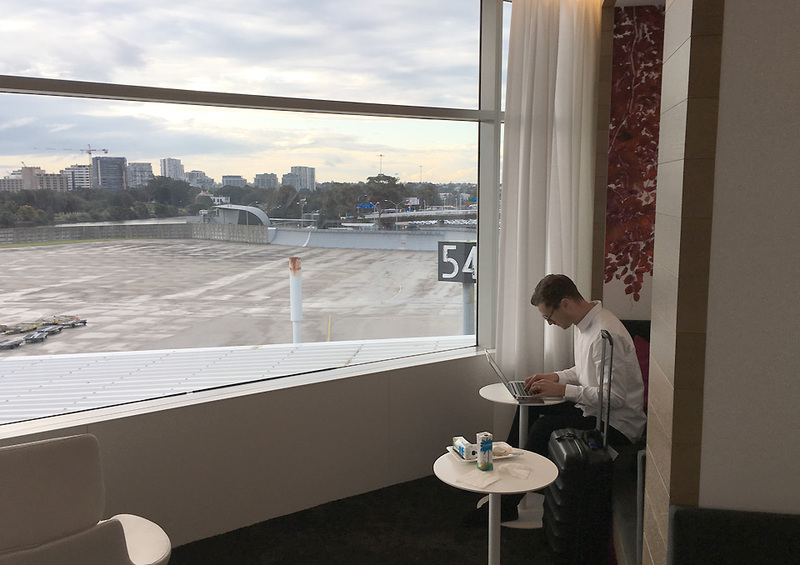 The lounge has plenty of rest areas with extraordinary views of Sydney Airport. 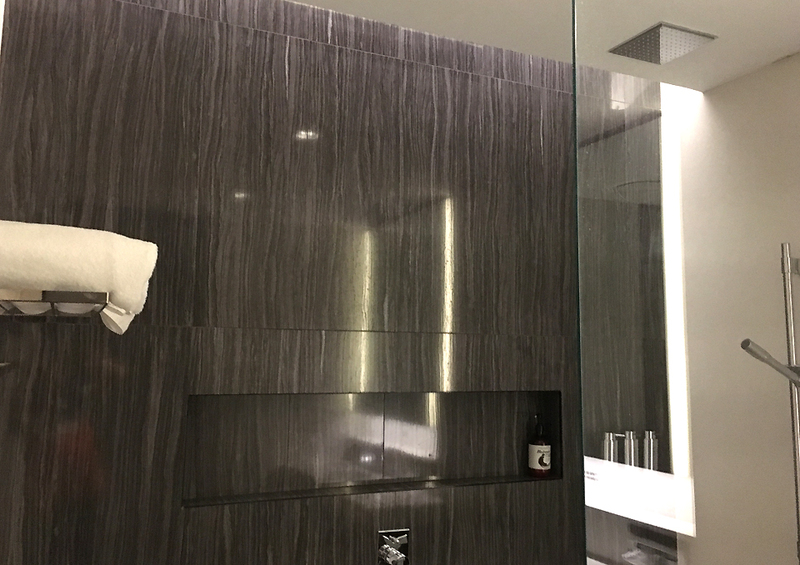 The resting areas are well thought of and feature different design and layouts to suit individual requirements. 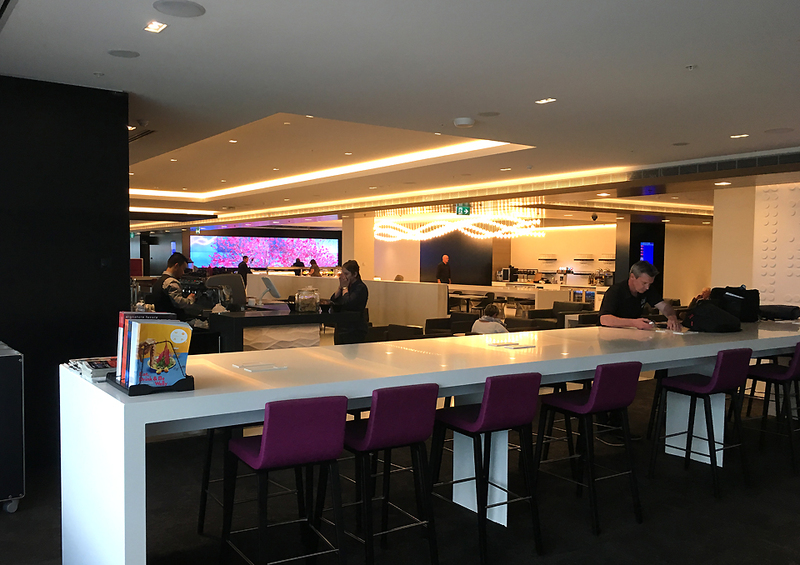 The Air New Zealand Sydney international lounge by far is one of the best airline lounges in operation today. 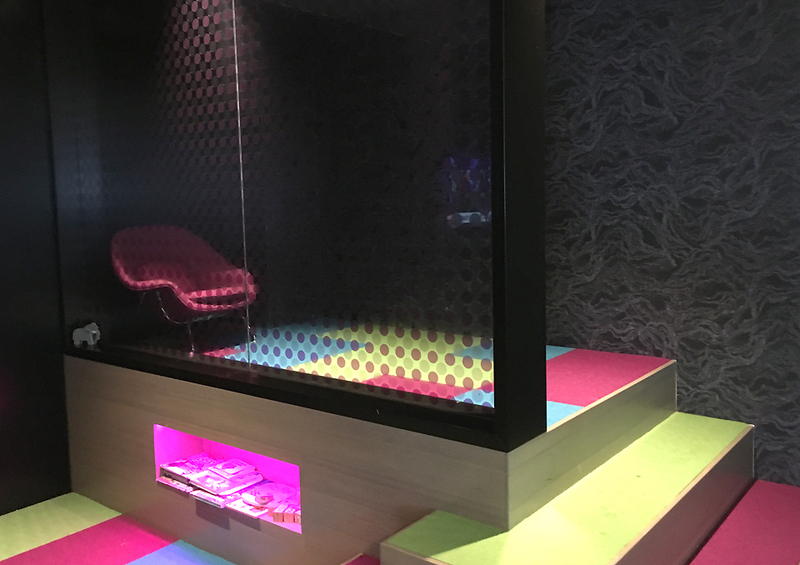 It has all the bells and whistles of what a good lounges should have. 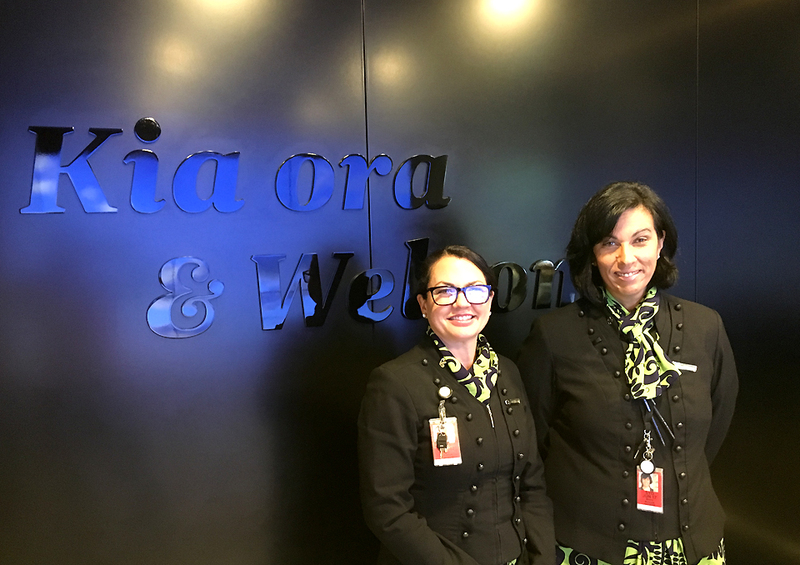 Air New Zealand sets itself apart from its competitors by adding true character and feel that is New Zealand for the world to experience before they arrive. Five stars from us all the way.